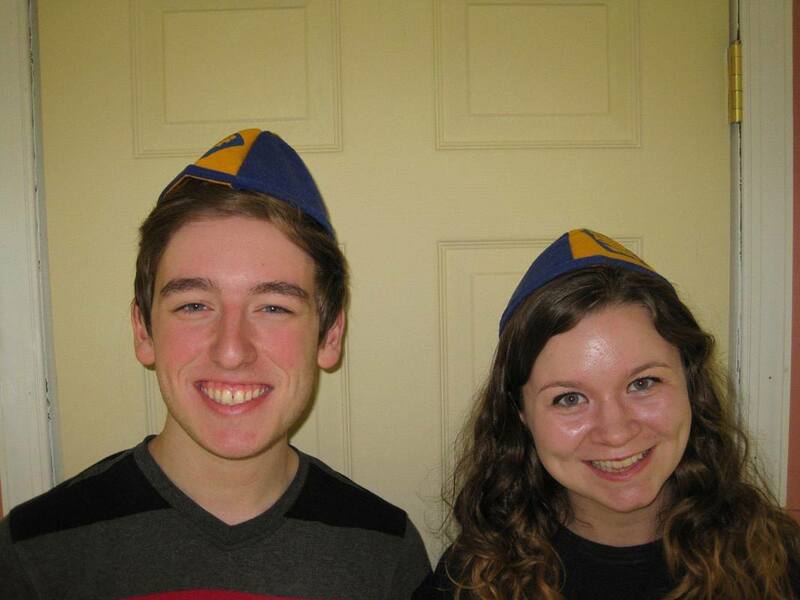 John David 'JD' Mayer is the recipient of the KT Smith Scholarship this year. 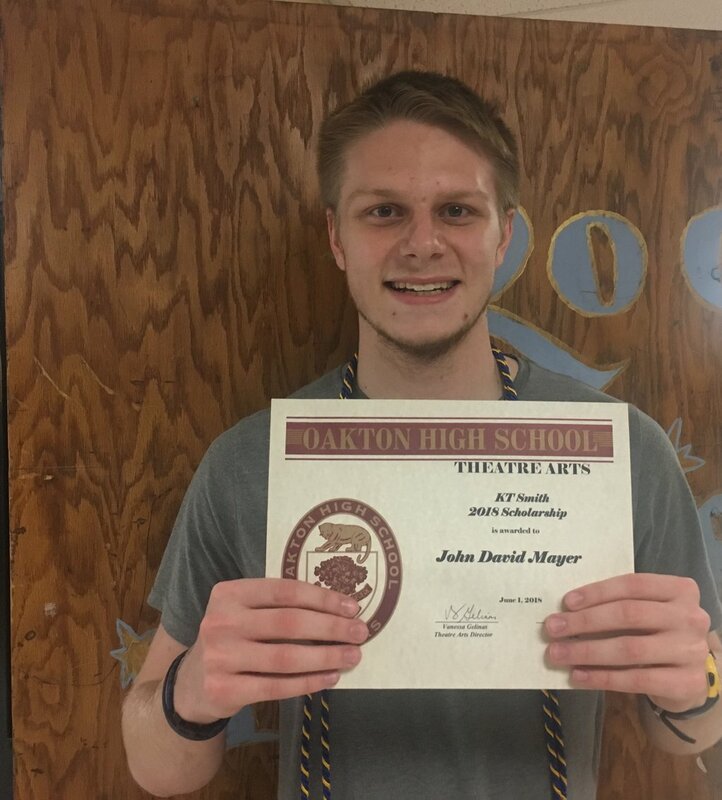 JD is going off to the University of Alabama at Huntsville to pursue being a professional TECHIE! 2017 brought another year of talented applicants! Our judges couldn't choose between these 2 talented young men- so our Boosters voted to award them both. 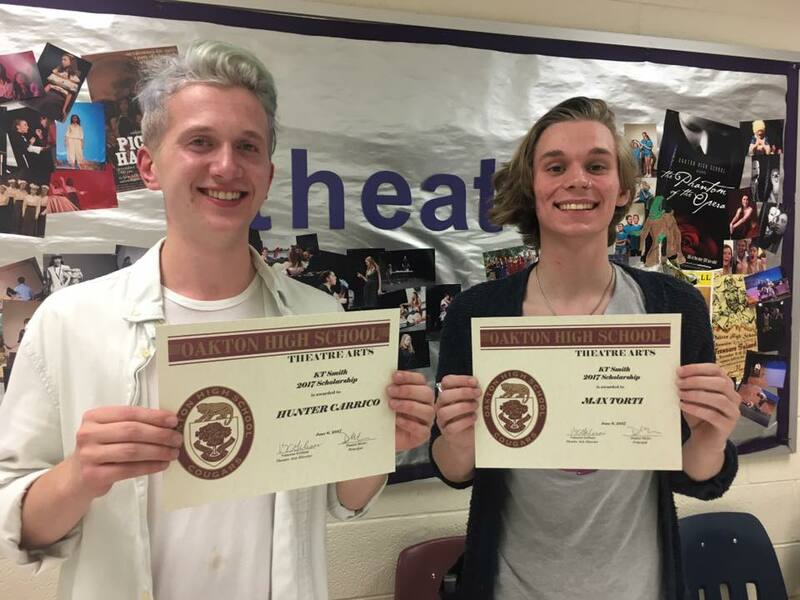 Hunter Carrico will be headed to JMU this the fall to double major in theater & photography. Max Torti will be attending VCU where he hopes to start an improvisation group since none exists. 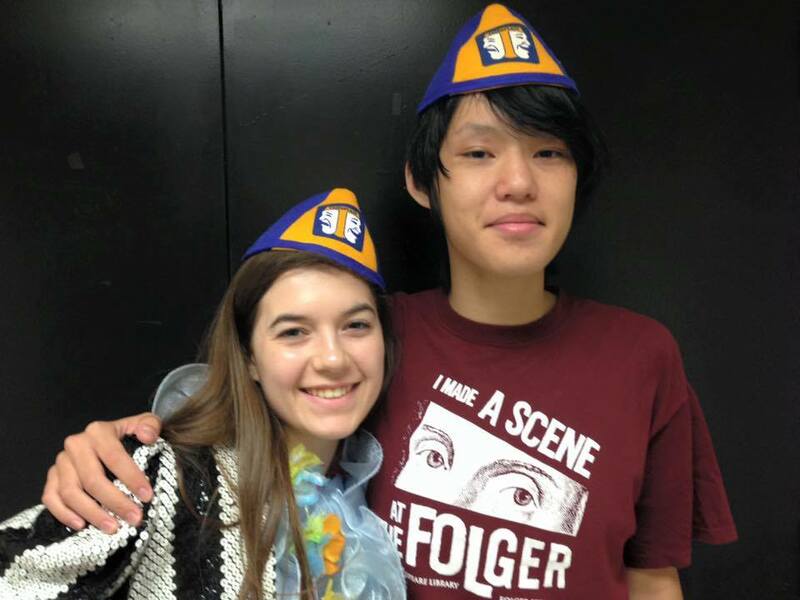 KT would have enjoyed you both immensely! Our 2016 entries were the strongest group of candidates so far. 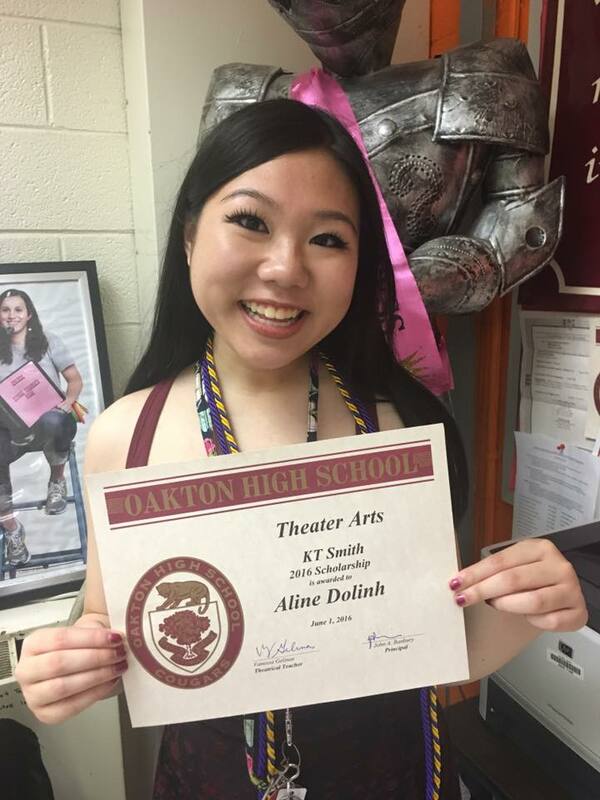 Aline Dolinh was the unanimous choice. 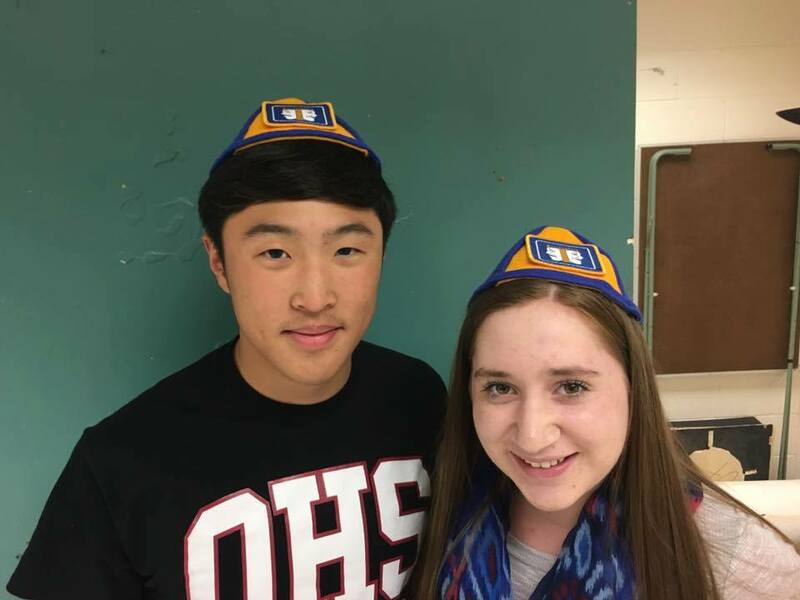 Good luck at UVA!!! 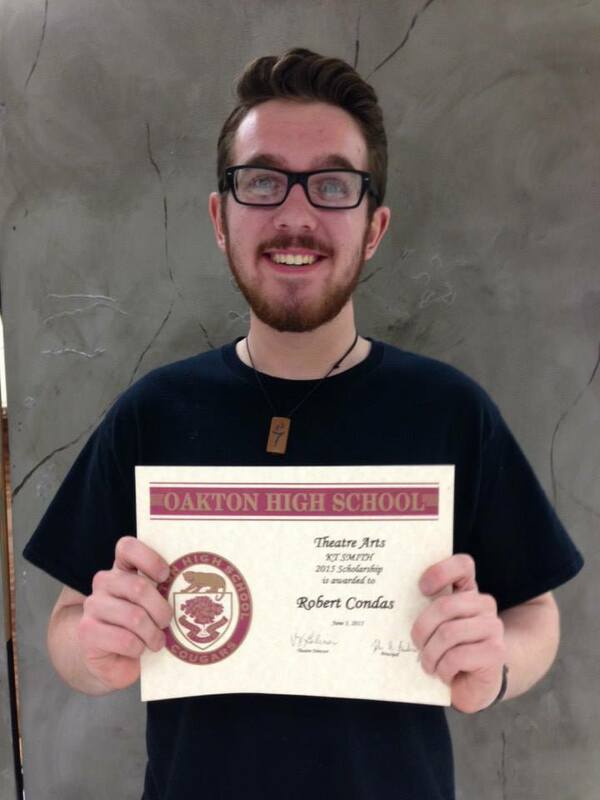 So excited to announce our 2015 Scholarship recipient is Rob Condas! 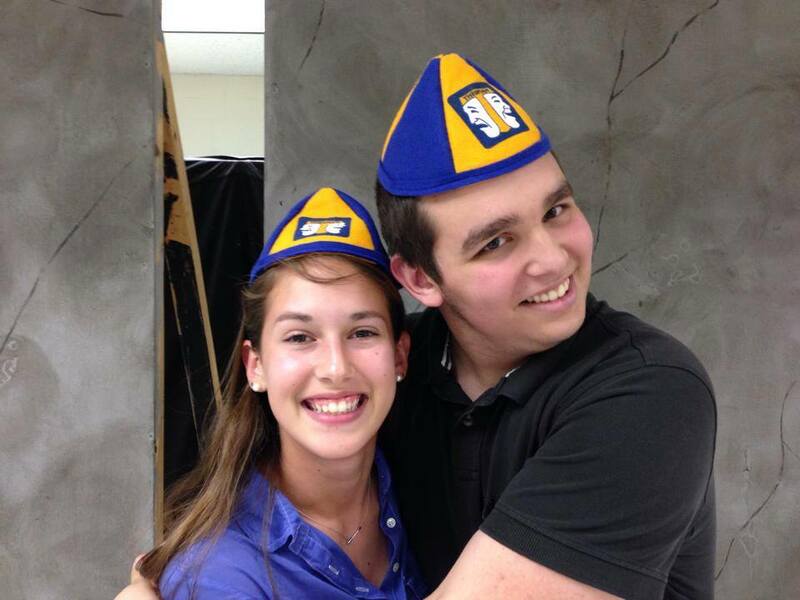 Rob will be attending JMU for Theatre and be putting his money towards a semester abroad. Way to go Rob. KT would have LOVED you!!! 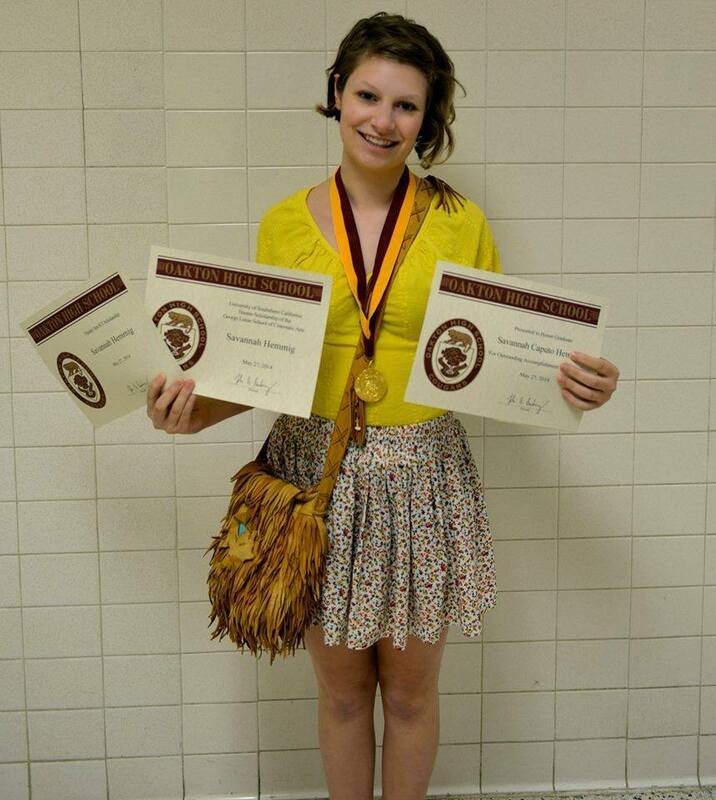 Savannah Hemmig, recipient for 2014. Now in film school at USC. 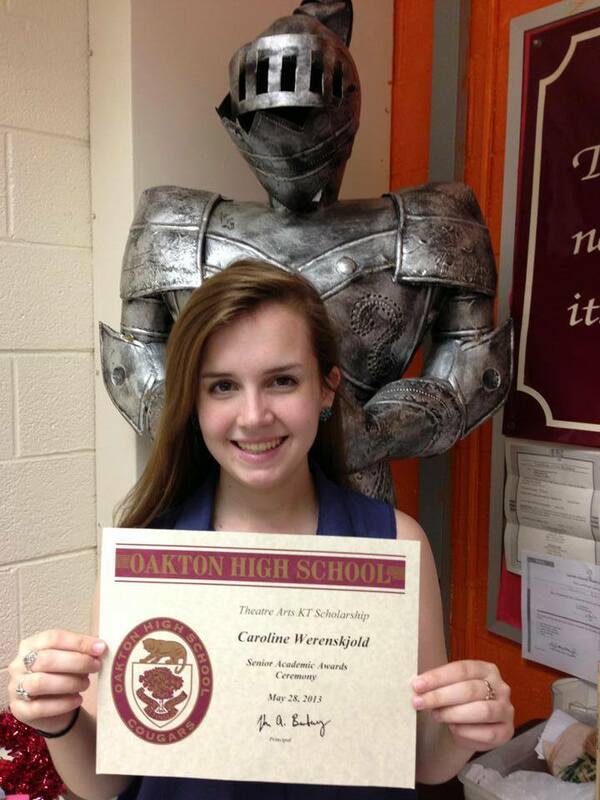 Caroline Werenskjold, our Stage Manager here at Oakton, was the recipient for 2013. Now attending UVA! Our first year , 2012, was a tough one! We couldn't choose between two of our wonderfully qualified finalists. 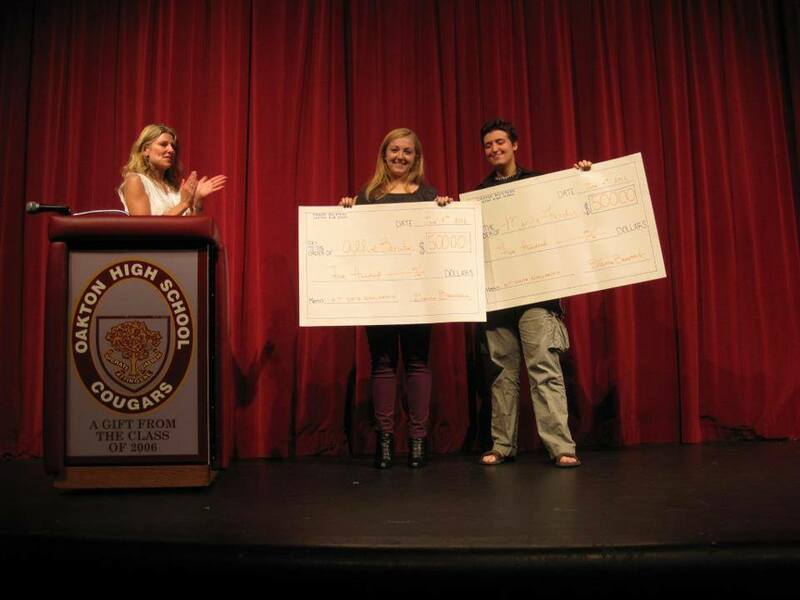 So our panel of 7 judges decided to share the prize between Allie Berube, who now attends Syracuse University with a focus on sports journalism, and Marina Fondin who is attending the School of Visual Arts in NYC. 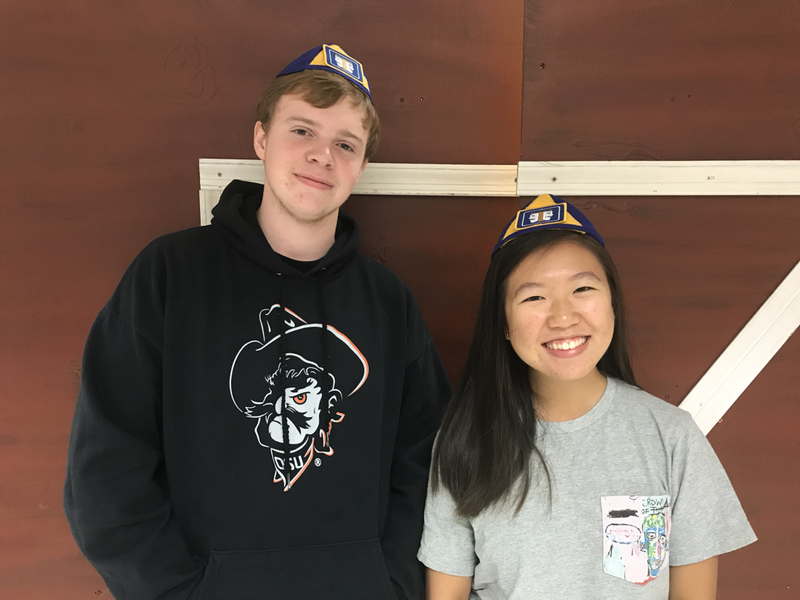 Every year Mrs. G awards a "Thespian Beanie" to a junior actor and actress who no matter the size of the role, work as hard as if they were a lead. 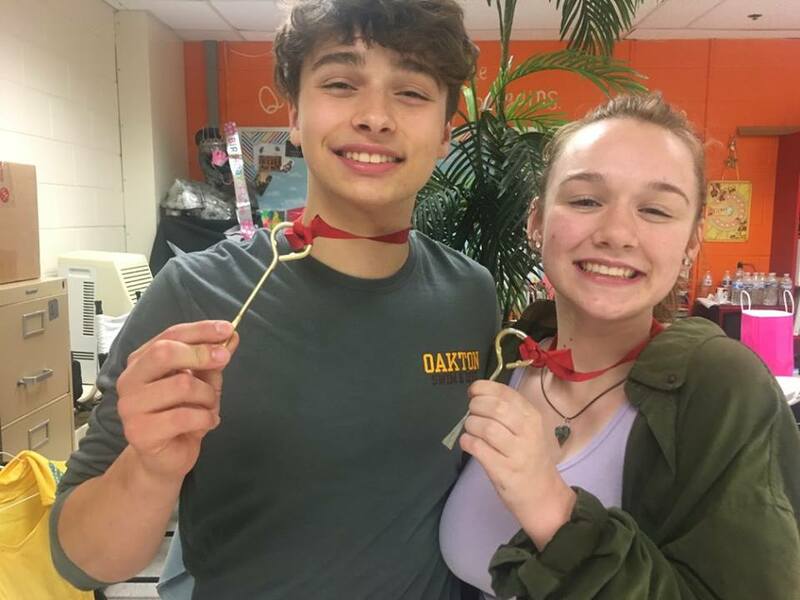 Every year Mrs. G gives a golden churchkey to a techie(s) who goes above and beyond during the season. 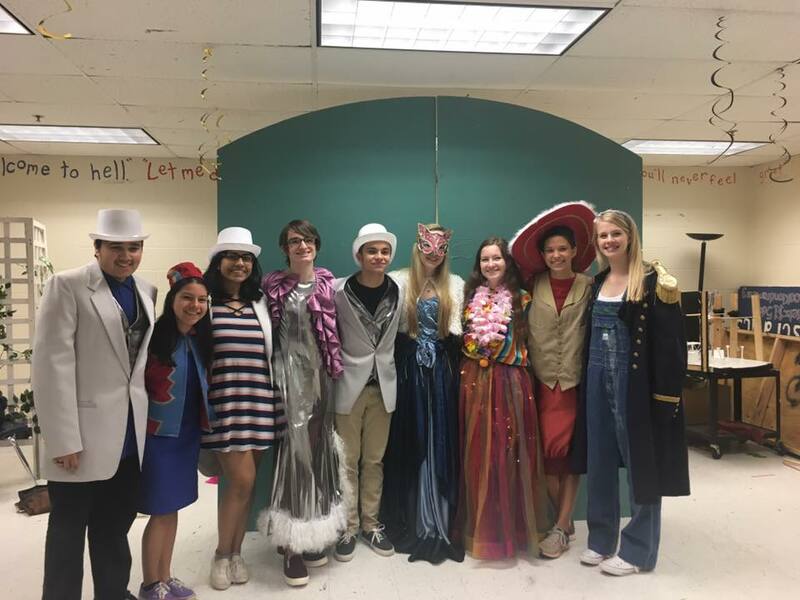 Every year Mrs. G and the Thespian Cabinet members choose new students to take their position for the following school year. 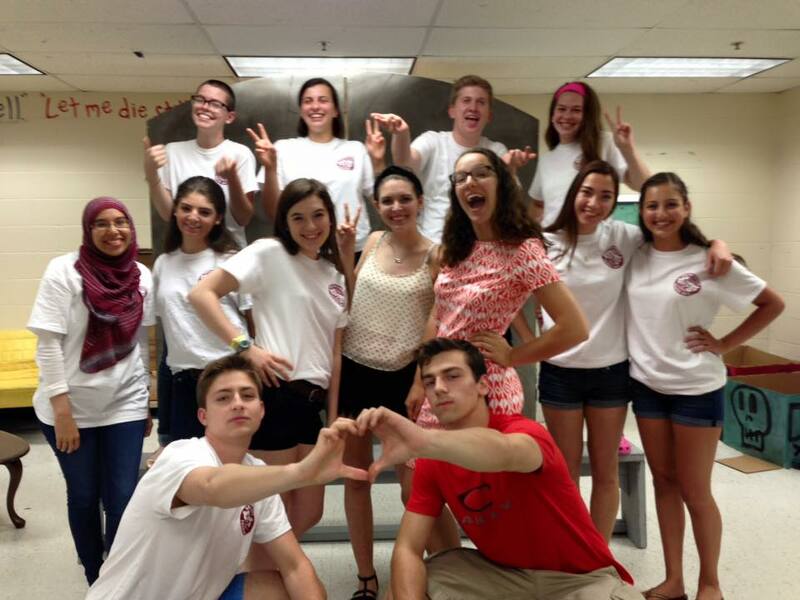 Samba Pathak, Robbie Boyle, Joseph Perreault, Alexa Schwartzman, Mackenzie Crane, Abby Cortez, Ian Matthews, Vinee Verma, Bailey Kruse, Vivian Lemons, Emma Ziselman, Sophie Cassidy, Vanessa Rivera and Bella Panciocco. 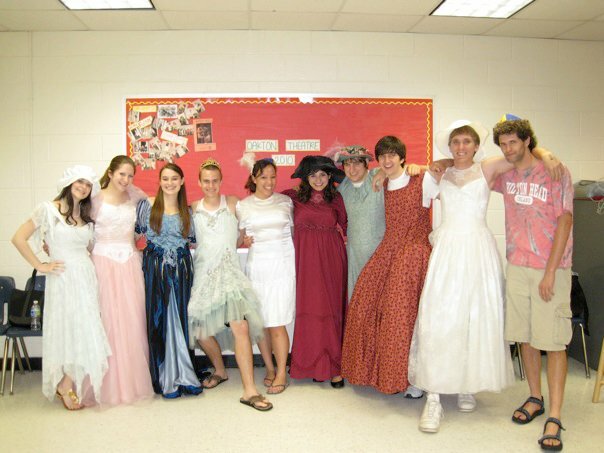 Samba Pathak (left), Vanessa Rivera, Vinee Verma, Finlay Kuester, Max Branciforte, Lauren Yarnall, Bailey Kruse, Helen Dhue, and Mackenzie Crane (right). 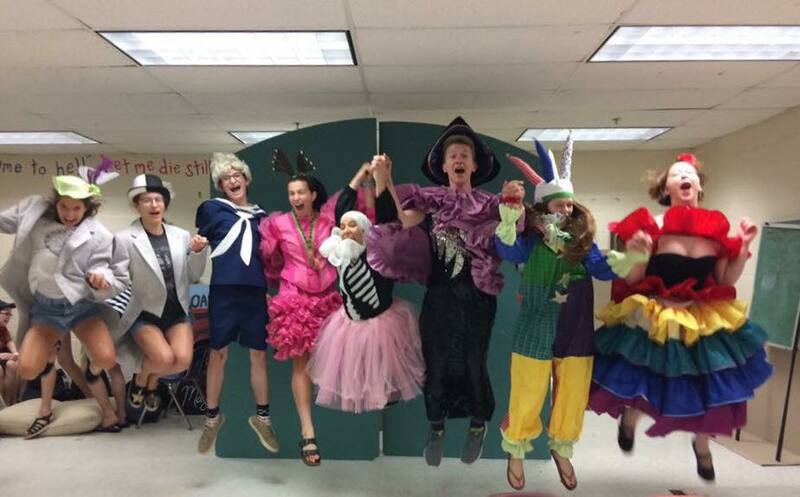 Hanna El-Mohandess, Sarah Woolf, Madison Carter, Zac Branciforte, Sara Pollin, Kamila Mehdi, Callie Carlstrom, Erik McIntosh, Hunter Carrico, Erin Kane, Savannah Hard, Grace Finkbeiner and Lauren Silas. 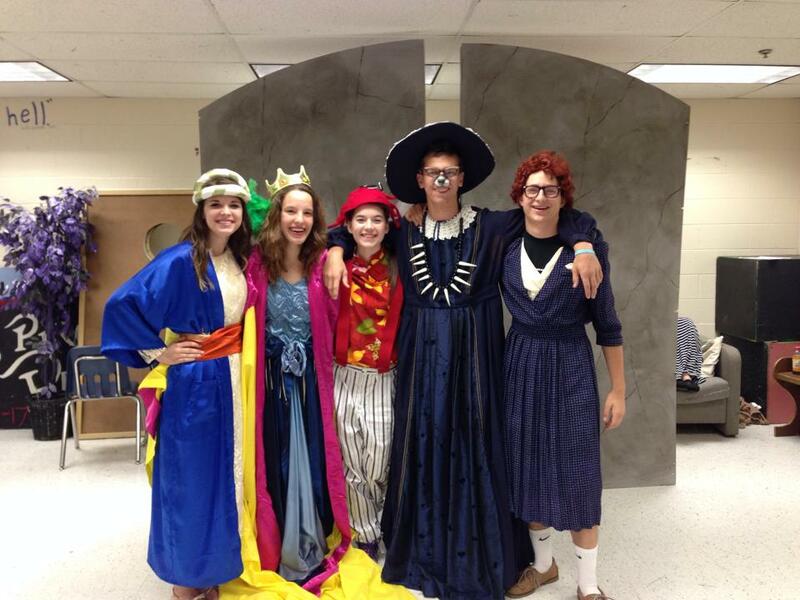 Callie Carlstrom (left), Savannah Hard, Sara Pollin, Erik McIntosh and Zac Branciforte (right). 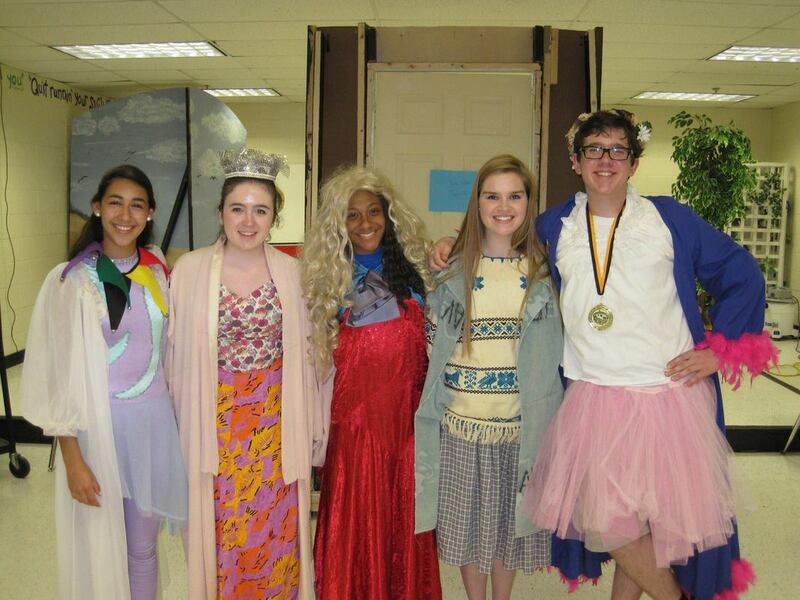 Veronica Silva (left), Carsen Howard, Madeline Grey DeFreece, Lauren Frautschi and Rob Condas (right). 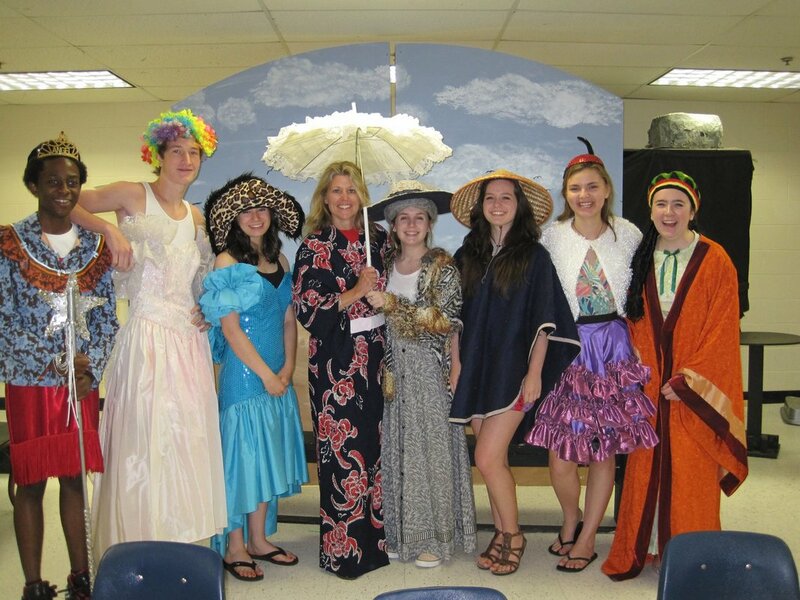 Lars Mwatanhele (left), Shane Ramsey, Emilia Brennan, Mrs. Gelinas, Caroline Werenskjold, Christine Cox, Melina Smith and Carsen Howard (right). Holly Kelly (left), Esther Scott Workman, Sophia Sellars, Dustin Ward-Dahl, Caitlin Weirick, Roxy June Ghamgosarnia, Zak Goldberger, Chris Papas and Ray Daniels (right).